Three Belles Outfitters and Three Belles Marina offer a variety of Activities and Rental Programs for you, your friends, and your family! Here at TBO, all you have to do is show up and be ready for fun! We offer a full fleet of paddle kayaks, stand-up paddleboards, pedal kayaks, tandem (two-person) kayaks, sailing kayaks, pedal-driven Eclipse boards, and fishing kayaks. We can happy accommodate groups as large as twenty or larger, or even just one solo guest looking for some alone time. Would you like to get some exercise while you explore the Niantic River on a kayak? 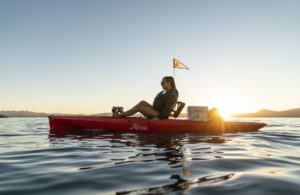 Would you prefer a MirageDrive Pedal-driven kayak with a little more “drive?” Want to spend a couple hours with a trained instructor enjoying a paddleboard yoga class? Regardless of what kind of fun you’re looking for, we’ve got everything you need to enjoy some time on the water! 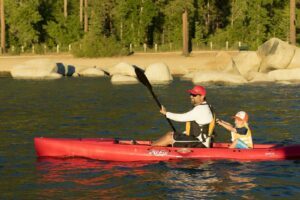 Paddle Kayaks – The ‘traditional’ style of kayak most people envision, you’ll use a two-handed paddle to propel yourself around. 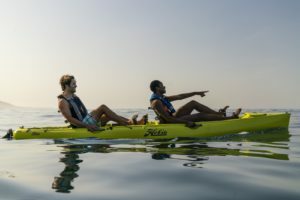 Pedal Kayaks – A little different from the traditional paddle kayak. 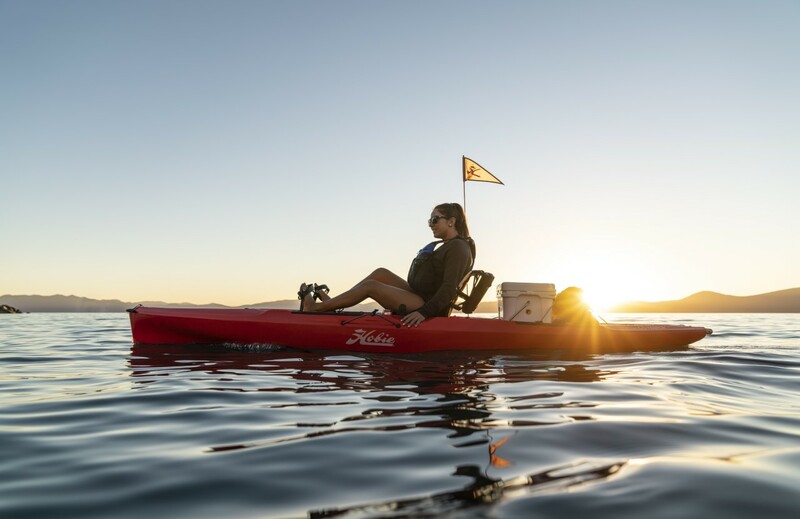 Hobie’s patented Mirage Drive allows you to almost effortlessly propel your kayak through the water using your legs and feet – instead of your arms. You’ll use one hand to control the steering rudder, but otherwise a Pedal-Drive kayak is practically hands free! 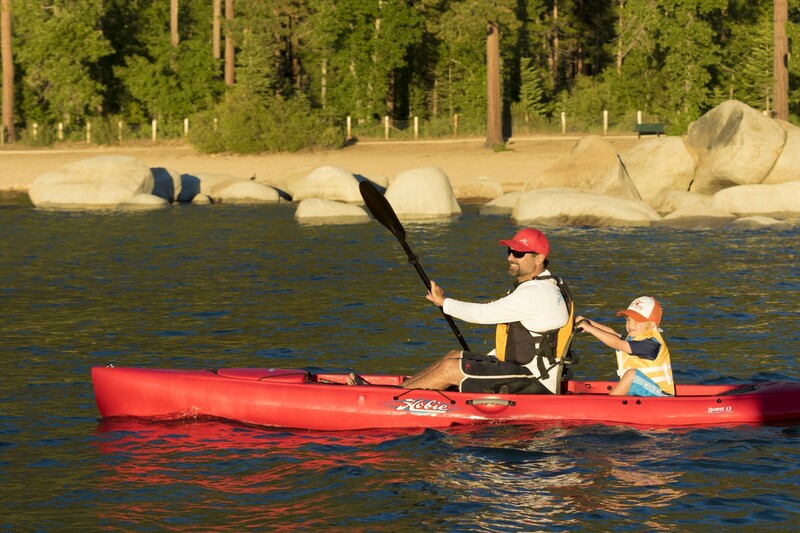 Tandem Kayaks – Kayaks designed for two people, but you’ll both have control of speed and steering. 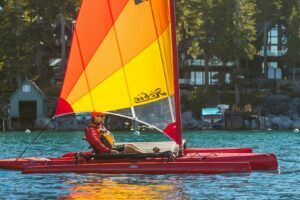 Stand-Up Pedal Boards – another legendary Hobie innovation! 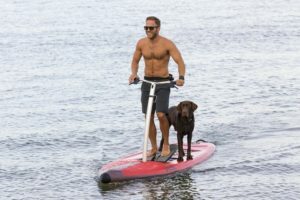 The Eclipse board is propelled thru the water using your feet while your hands have a handlebar to control the steering rudder. The Mirage Drive pedals work similar like a stair-master, a very easy left-right-left motion. Sailing Kayaks – Just as it sounds, these are kayaks with the addition of a mast, sail, and Ama outriggers! Harness the wind to cruise around, or pedal using Hobie’s Mirage drive if the wind goes flat. 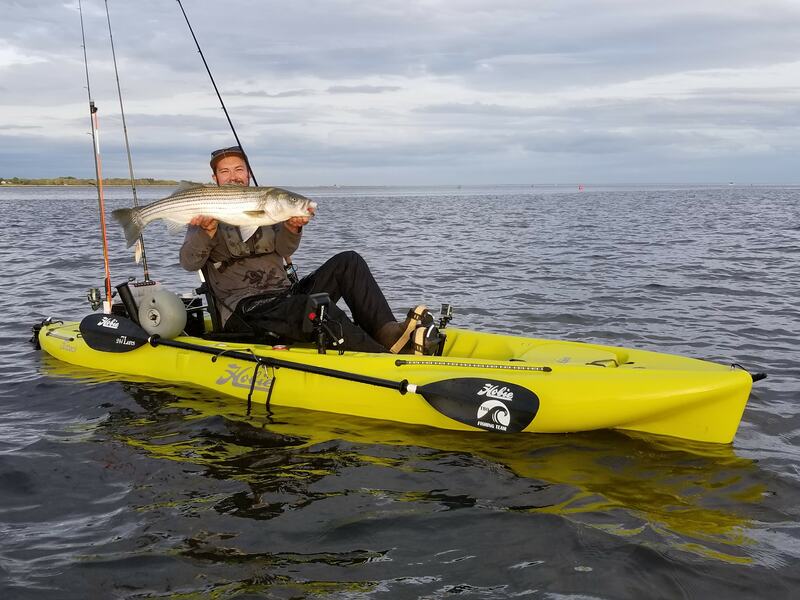 Fishing Kayaks – We equip you with everything you need to reel that elusive monster fish. 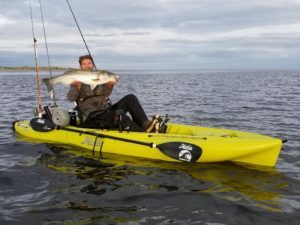 You receive a fully rigged fishing kayak with a rod, reel, tackle, fish grips, and all safety gear. Check out the outfitters store to get some hands on advice from members of the Three Belles Fishing Team!